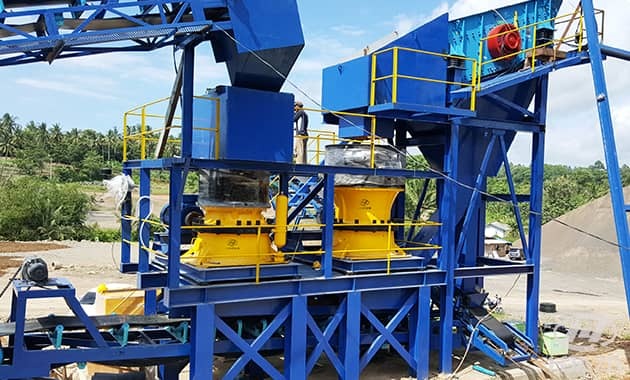 Cone crusher blockage is a major factor that affects the machine working efficiency. The blockage is not a single phenomenon, it includes different types, here let's introduce the phenomenon of cone crusher blockage. "Material blockage" means the stuck phenomenon caused by material accumulation. This phenomenon is mainly caused by feeding too much or the fed material with unreasonable character. It will cause the cone crusher having high working current, and the automatic protection of electric circuit stopping the machine. In addition, if the iron ore or the non-crushed materials enter into the machine, it can also cause the blockage phenomenon. This phenomenon is mainly caused by the main shaft fracture due to improper operation during working process. 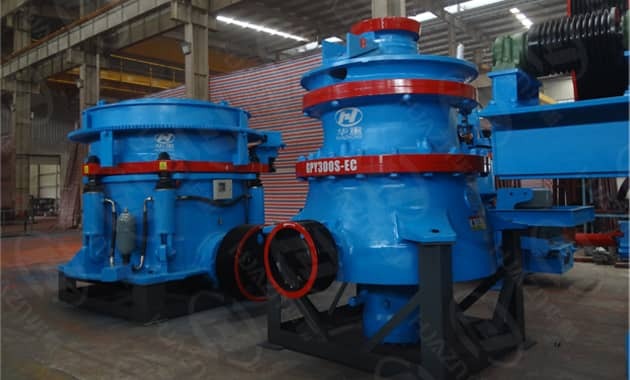 Such as in order to get the required fineness, continuously tighten the discharging opening, or the non-crushed materials enter into the machine causing large impacting force to the main shaft. There is another situation that the machine is always in the overload running condition, even the machine has overload protection device, it can't completely avoid damage to the equipment. This is also another key factor cause the main shaft fracturing. This phenomenon is due to the hydraulic station losing pressure leading the locking function fail, and then the adjusting sleeve rotates with the movable cone. If the operator does not find and deal with the problem in time, it will cause the blocking phenomenon. Above detailedly introduces the blockage phenomenon of cone crusher. During actual production, only guarantee the reasonable feeding (includes materials character, feeding speed, and materials purity), proper operation, prevent the machine in a state of overload operation, does good lubrication and dust protection, can effectively prevent the machine from blocking. Previous Article：How to Improve the Production Efficiency of the Crusher?